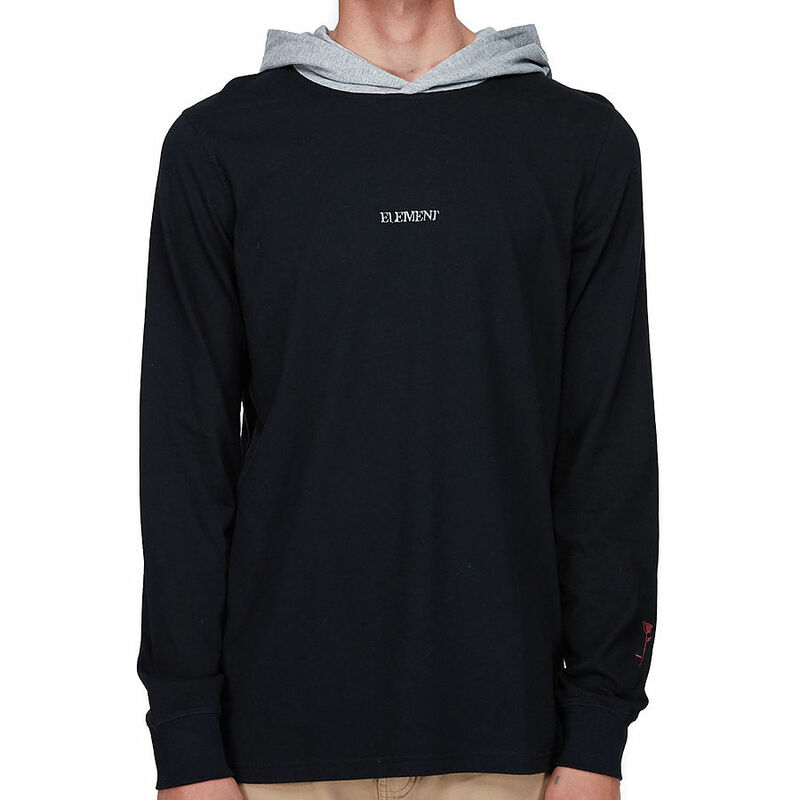 4.5	stars -	"Review for Element Sector LS Mens Hood Tee Flint Black" Mark Taylor This Element Sector LS Mens Hood Tee Flint Black is the best Tees I have tried. Ready to hit the pavement. Designed to layer, this jersey hoody keeps you covered without weighing you down. 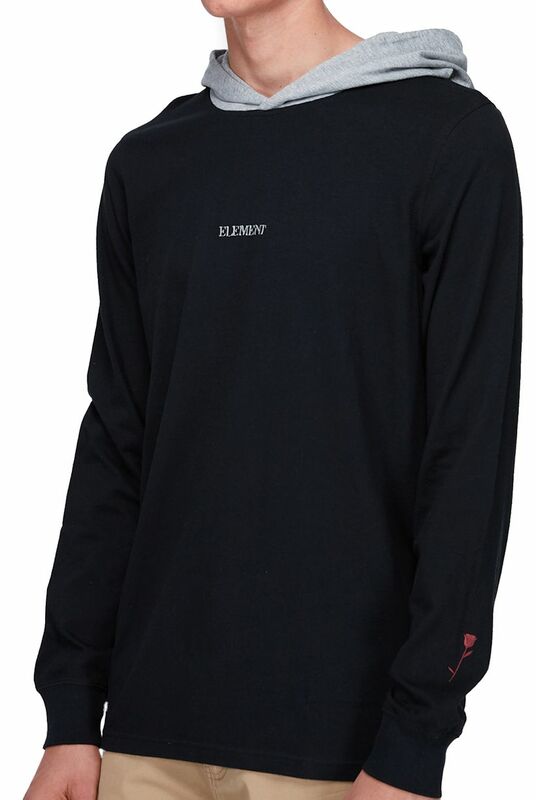 Made from 100% cotton, 190 gram jersey, the long sleeve features ribbed sleeve cuffing, contrast heather hood, and embroideries at the left chest and left sleeve.